I provide EMDRIA Approved EMDR Training for individuals and agencies. I can also provide consultation hours. I offer special topics courses that can be taken in person for EMDRIA credits (which also count towards the 12 required hours for EMDRIA certification). 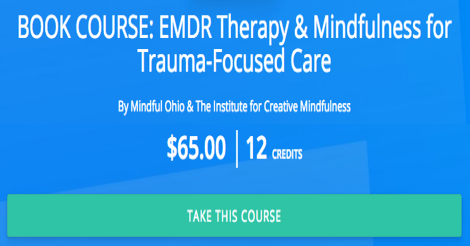 These workshops are designed as advanced training for EMDR Therapists - as well as introductory courses for non-EMDR therapists who want to learn about EMDR and trauma - or to get a better idea of what it might be like to become trained in EMDR. Mindful Ohio & The Institute for Creative Mindfulness are approved education providers with the EMDR International Association (#1002) and approved as a CE provider by the American Psychological Association. MET(T)A is a new and innovative approach that is both META and METTA. META represents the use of the AIP Model and the 8 Phase Protocol of EMDR Therapy to design and deliver treatment within an addictions treatment center structure. METTA means in Pali "lovingkindness", the spirit and practice of which guides the MET(T)A Protocol. We can provide workshops, we can provide EMDRIA Approved Basic Training for staff, general trauma training for line staff, training for supervisors and managers on creating a treatment program based on the MET(T)A Protocol, and ongoing consultation services for your agency. Clinical Dharma is available in a 12 class series - as well as Half and Full Day Meditation retreats led by myself and guest teachers. My online offerings include opportunities for us to meditate together on live stream, or for you to download the already completed meditation to bring some mindfulness and dharma into your day. I have been doing Anger Management workshops for over 20 years. I have worked with diverse populations, including those court ordered for anger management, and with those who never expressed anger in their lives.